Great photos Dave. I've been curious about that mill. Hopefully it can be saved. Great images, Dave. I admire your stealth. A rusting hulk of history. I was going to say beautiful but I better save that adjective for the rain forest. I have mixed feelings about abandoned old factories. A part of me loves them and the other wants them gone, devoured by ivy, flowers and trees. are you going to post your sketches? 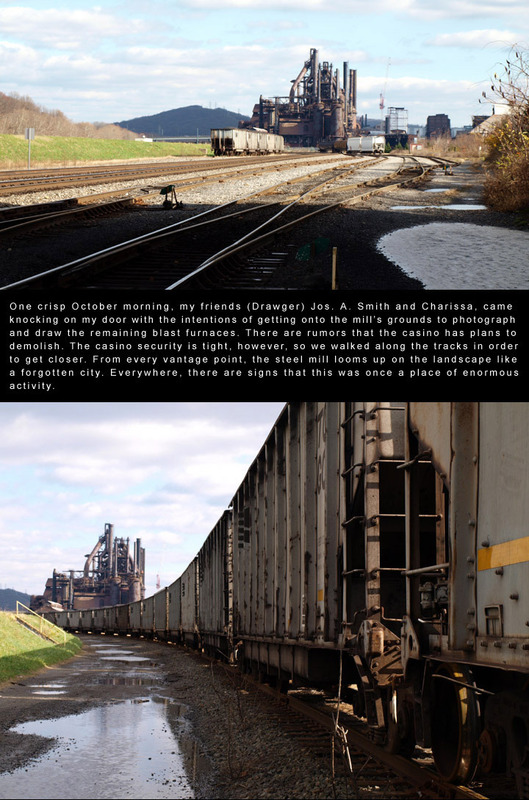 Whoa, I love defunct industrial sites, thanks for the inspiration. Great pics. Isn't there a mountain on fire around there or something? on the inside, and old anthracite mine or something. 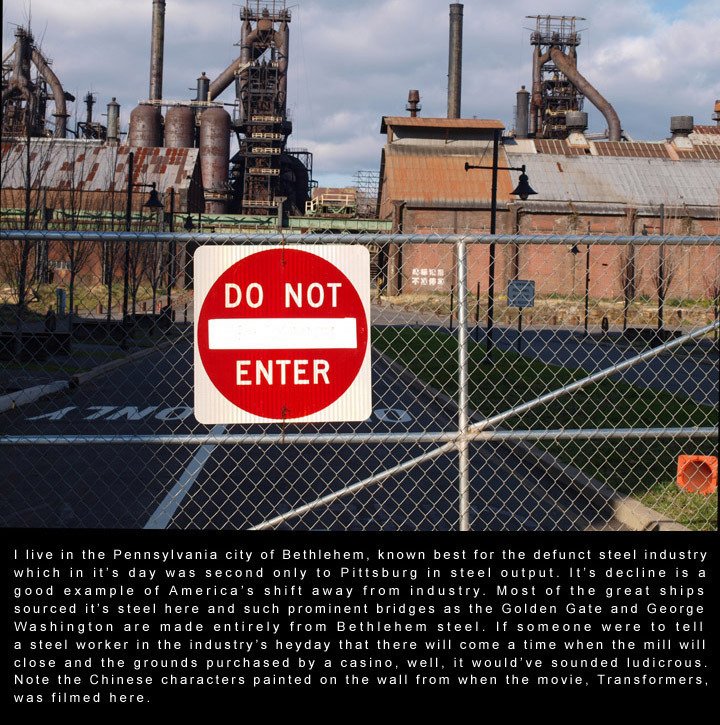 Recently illustrated an article on the plight of American industry, sad. Love that kind of industrial stuff! Love all the pipes, machinery and rust. An artists playground. Kinda spooky, too. It's a testament to what was a place of jobs, and a creative energy that sometimes eludes the PC set. Yes, there is a dark side to it, but it's a little bourgeois to criticize from today's view point. Wish I could have joined in. Looks like you all had a blast, David. Great stuff. Give my love to Joe. This stuff reminds me of my old friend Gene Hoffman who loved to make drawings and sculptures of exactly these kinds of structures. Thank you for the great post and wonderful pictures. This site is such a beauty I hope the structure stays, regardless of what it would become. Even if it becomes a casino (which I personally don't support, but that's another story) how cool is that to build a casino based on the structure that looks like it came straight out of a Blade Runner world. By the way long before I moved to the US, I was singing that song wondering where "out in Bethlehem they are killing time filling out forms standing in lines~" was. Now I finally have witnessed it. Thanks again! Thanks for the tour. I live 3 miles from here and never had the chance to see it so closely. Next Dorney Park?